Phil Hanson has just completed the busiest start to a year the young Briton has ever experienced in his short motor racing career – and the talented youngster shows no sign of slowing down. Having clocked up over 1,500-miles behind the wheel of United Autosports’ Ligier JS P217 LMP2 sports-prototype in the first two months of the year, the 2016-17 Asian Le Mans Series LMP3 champion now focuses on February’s activities that include a Dunlop tyre test at Aragon in Spain before making his Sebring 12 Hour race début. In January, the 18-year-old contested the Roar Before the 24 then the Rolex 24 At Daytona, both with former double Formula 1 World Champion Fernando Alonso and 2018 McLaren F1 Test & Reserve driver Lando Norris. The Daytona event marked Phil’s maiden car race in North America while this week (22-23 Feb), Hanson acclimatized himself to the 3.74-mile Sebring circuit, also in Florida, in advance of the Mobil 1 Twelve Hours of Sebring (17 Mar). Prior to the Sebring race, Hanson will be joined by his 2018 European Le Mans Series co-driver Filipe Albuquerque (POR) at an official Dunlop tyre test at Aragon (SP) (4-8 Mar). Hanson, who only began racing sports-prototypes at the end of 2016, having starting karting two years earlier, shared the United Ligier with Paul Di Resta (GB) and Alex Brundle (GB) at Sebring this week. 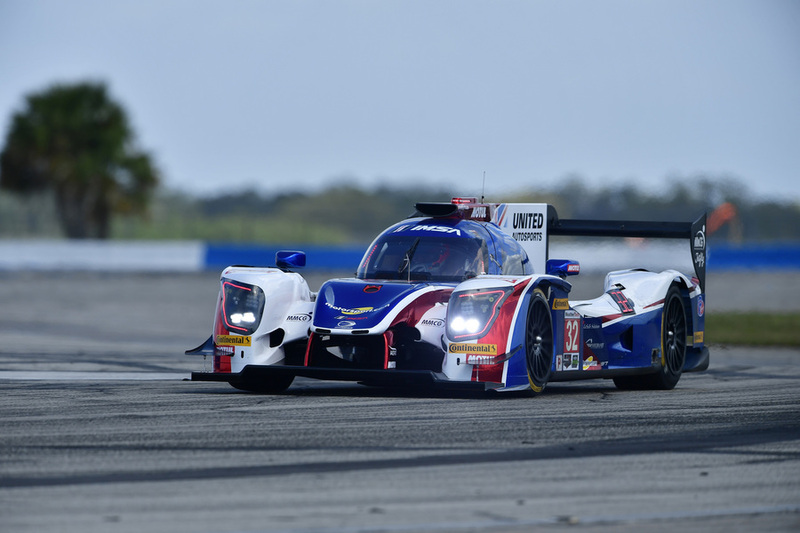 The trio enjoyed a trouble-free two-day test which bodes well for the Sebring race. It’s been an amazing start to the year having already raced at Daytona and with another iconic American race, the Sebring 12 Hours, just around the corner. The two-day test at Sebring went very, very well with the Ligier reacting a lot better compared to Daytona to any changes we made to the car. We were fast pretty much the entire test especially when compared to the other P2 cars. The team have done a great job this week. Daytona was unique and so is Sebring but they are polar opposites to one another. Daytona has the steep banking while Sebring has bumps that determine the racing line. Turns 1 and 17, that are still on the original concrete from the old airfield days, are especially tricky, and all the more rewarding when you get them right.